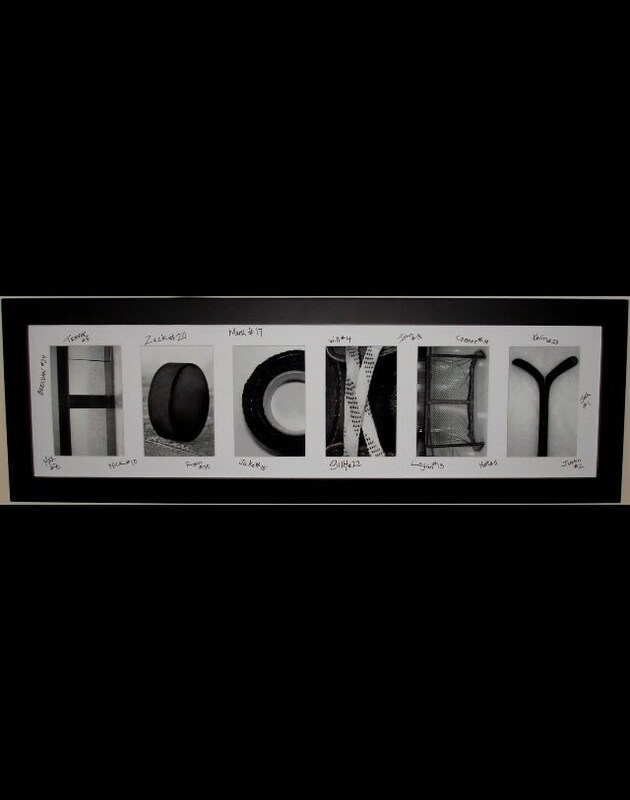 Hockey Montage - Unique hockey photos spelling out "HOCKEY". Perfect for anyone who loves the game of hockey! This will add a great conversation piece to any room. This also makes a great coach gift and you can customize this by having the team sign it. The coach will treasure this and it will be a great way to remember the season.